WordPress has dominated as one of the most influential platforms for blogging. But, what if it is not tailored to suit your requirements? With several alternative blogging platforms available, choosing the right one requires analyzing the pros and cons of each platform. Keeping important factors in mind such as technical knowhow, monthly charges, themes and add-ons, let us look at which platform will suit you the most. Posthaven is a minimalistic blogging platform created by Garry Tan, who also co-founded Posterous. When Twitter acquired Posterous and decided to close it, many people lost their trust in the platform and shifted to other blogging platforms. This led to the creation of Posthaven. 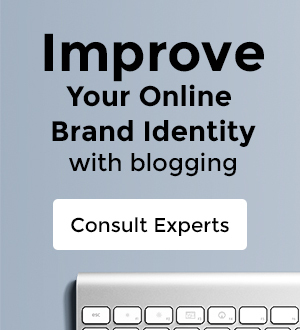 This service is preferred by those bloggers who want to connect with relevant audience easily. With an aim to provide higher return on investment than self-published blogs, Medium comes from the makers of Twitter and Blogger. Among several benefits, Medium allows you to use a custom domain with your blog. Design is lacking and there are fewer options to customize design. Svbtle requires a monthly fee of $6. It may not satisfy all the demands of professional writers but it is perfect for beginners.The UI of dashboard is designed mindfully. However, it lacks a proper editor to edit the blog posts but still works great even if you are a professional writer. Postagon focuses on providing a minimal UI with all the necessary functionality to get the job done. It is offered on a monthly price of $4.99 and allows posting through email. Being a minimal blogging interface, Postagon also comes with social media integration, and an export feature to transfer blog posts. Right from the signup page, Silvrback is an easy to use blogging platform. It takes away the pain of formatting the blog post manually. With WYSIWYG editor, it automatically converts plain text into well-structured HTML. Mobile template can be improved. The Ghost pro is a hosted platform for enterprises. Anyone can buy the subscription of Ghost Pro for a minimum cost of $10. The Ghost Open Market contains themes and apps for Ghost platform. The platform is open source but most themes and apps are either free or paid. Xanga is a simple blogging platform with a handful of features for editing the blog post. However, it comes with additional support for multimedia files such as audio, video, and pictures which help reduce the bounce rate of the blog post by making it interactive. These things can easily be embedded in the blog post with the help of upload feature. Kirby is designed while keeping simplicity in mind. It is free to use but a licensed version will cost $39. Powered by SSH, Kirby can also be installed directly via Github commands.The entire platform acts as a content management system, where the user can put files into folders and the platform will handle the rest. Inside the folder, text files, CSS files, and images can be placed, making each blog post have its own folder and files. This self-hosted blogging platform stores all its content in Markdown. However, unlike other blogging platforms based on Markdown, it also offers blog-editing features within the system. This minimal blogging system is still in its development, but it is almost on the brink of completion so minor improvements can be expected. It just takes few minutes to set up and is one of the easiest blogging platforms to use. AnchorCMS is built to offer simplicity and elegance. Its uniqueness lies in its ability to be customized even by novice users who are not technically sound. Even amateur PHP programmers with minimum knowledge can extend AnchorCMS and build it as per the requirements of the user. Do you think we have missed something here? Leave a comment below to share your favorite blogging platforms. Posted in eMarketing and tagged as blog marketing by FATbit Chef. Its useful article to all, thanks for sharing.I got the best information and best service from your blog, I am impressed. Will surely help. Great and nice thoughts and ideas. Keep it up!!! Very post, learned some new things. Thanks for giving Silvrback a look in this review, guys! Simple, straight-forward summary. We think Silvrback’s powerful, clean, simple, minimalist blog platform is a winner! Indeed Silverback’s simple and a powerful blog platform. Wishing you good luck for future. Keep coming back for posts related to Ecommerce and Web development.